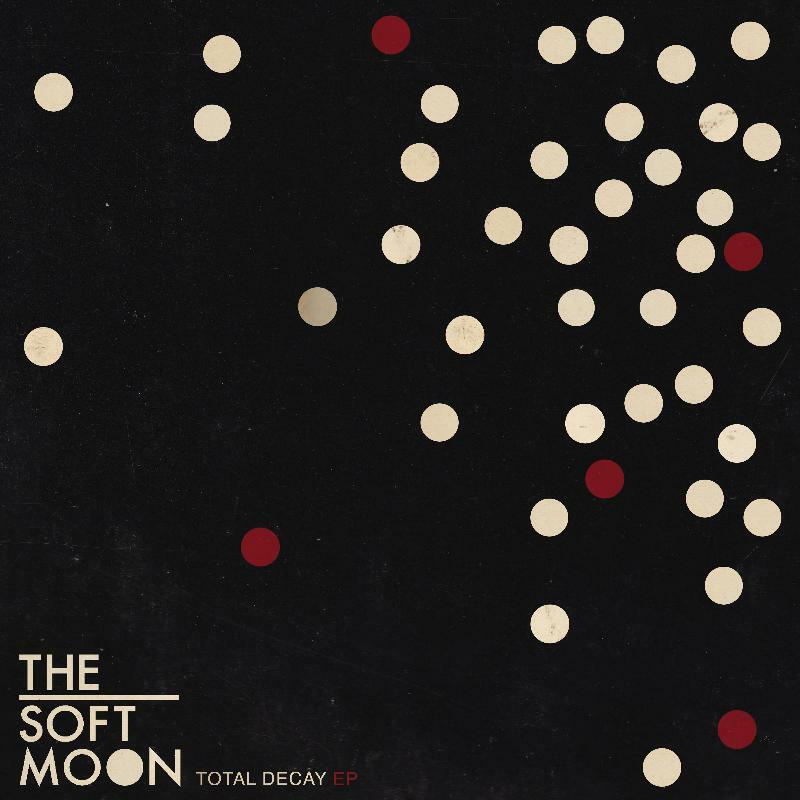 The Soft Moon are back after a year absence with a new EP titled Total Decay. The EP is set to release today, Halloween and the self-titled track is a very dark and mysterious tune that is just perfect for its October 31st release date. Total Decay will be released via the Captured Tracks label, be sure to check out the tracklist and video below. 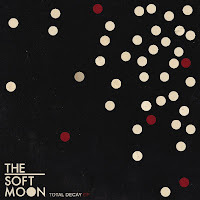 The Soft Moon - "Total Decay" from Life or Death PR on Vimeo. 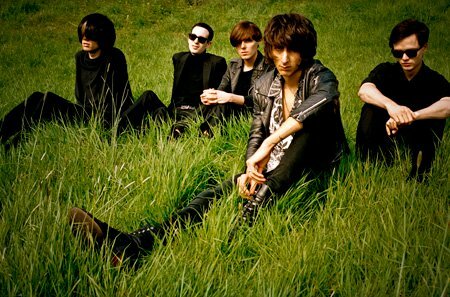 Here are The Horrors performing a cover of Beyonce's "The Best Thing I Never Had" for BBC Radio 1 Live Lounge October 2011. This has been floating around the internet for a couple of weeks now but I just keep coming back to it. Big fan of The Horrors and think they do this song a favor, still shocked that they even did a cover of a Beyonce song. Here is a first listen at The Black Keys new tune "Lonely Boy", which will be the first single off the forthcoming album El Camino - in stores Dec. 6th. The video itself is pretty hilarious and puts Thom Yorke's dancing in Lotus Flower to shame. The song itself is classic Black Keys, that just plain rocks. 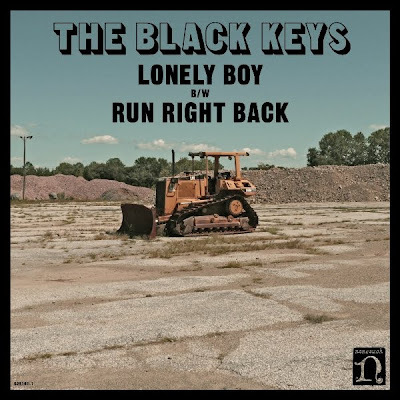 The single 'Lonely Boy' will also be released as a limited edition Record Store Day 12″ on November 25 with the b-side 'Run Right Back'. Named after musical pioneer and visionary Robert Moog, Moogfest is a three day, multi-venue event held over the weekend of October 28-30 in downtown Asheville, North Carolina- where Moog himself lived for over 30 years. In addition to a dynamite lineup of groundbreaking artists, the festival also features various film screenings, Q & A sessions, and art exhibits. This year, the event is featuring a special presentation known as an "Illustrated Talk" from legendary musician and visual artist Brian Eno. During the "Illustrated Talk", Eno will discuss concepts as diverse as time, sound, and the future of art in correlation with the event itself . Eno will also be presenting an interactive art exhibit called "77 Million Paintings" which fuses sound, light, and visuals into a profound, cutting-edge experience. Last year's Moogfest lineup included such sonic innovators as Devo, Massive Attack, MGMT, Hot Chip, Big Boi, Panda Bear, Four Tet, Jonsi', Pretty Lights, Caribou, and many more. This year's collection of artists promises to be even more exciting. Dedicated to the celebration of unique expressionism, Moogfest is an experience not to be missed. To buy tickets, head over to www.moogfest.com- where you can learn more about the event. Single day passes priced at $75 are also available. I'll see you guys on the other side. Photos and commentary to follow next week. 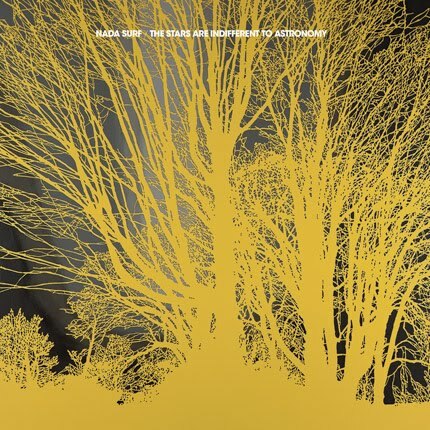 Nada Surf to release their seventh studio LP titled "The Stars Are Indifferent to Astronomy"
You can download the new singe, "When I Was Young" at www.nadasurf.com or listen to it below. 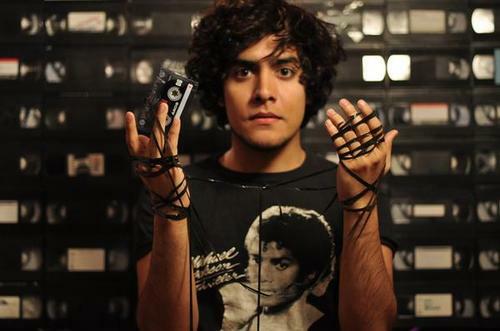 Neon Indian has included a mix to accompany his latest LP, Era Extraña. You can listen to the entire 48-minute mix below. Enjoy! Keaton Henson hails from London, England and brings with him some of the most sincere and honest lyrics you will find. His music speaks for itself and is promoted in the same vein. From fans, word of mouth, his music is starting to flow across the internet such as his song 'You Don't Know How Lucky You Are', which has been dubbed one of the most beautiful songs of 2011. Zane Lowe declared 'You Don't Know How Lucky You Are' as "One of the most special pieces of music I've heard in a very long time". Check out a couple of his videos below 'You Don't Know How Lucky You Are' and 'Charon' (puppet committing suicide). How To Start A Clothing Company also did a very insightful interview with Keaton back in 2009 which explores his artsy visions of life. Along with being a musician Henson also is an Illustrator and Visual Artist. It has been said that he had no intentions of releasing his music to the public and making records was never really part of his agenda. Artist like Keaton Henson make music for the right purpose, showcasing something that is honest and from the heart and has no intentions of cashing in. 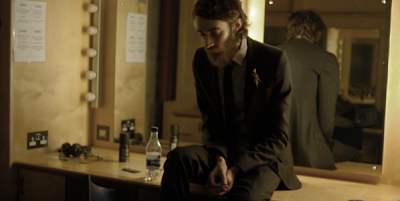 It is time to get to know Keaton Henson and continue to pass the word along. 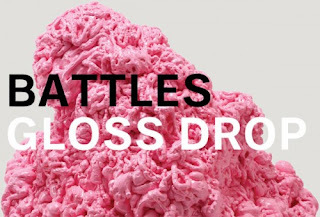 Battles’ latest release Gloss Drop is quite appropriately titled, as they’ve seen a slight shift in style since the departure of former vocalist Tyondai Braxton – hence the gloss drop. But Battles still do what they do best, and they’ve got a video to prove it. “My Machines” features Gary Numan of ‘80s fame and delights with some seemingly endless escalator escapades. Stream the video below and even better, check out Battles’ interview with FPT’s very own Fr. Jones, here. Battles - My Machines (feat. Gary Numan) (Directed by DANIELS) (HD) from Warp Records on Vimeo. The genius behind Youth Lagoon, Trevor Powers took a few minutes to answer some questions from FPT's writer, James Brimacombe. With Powers releasing Youth Lagoon's album The Year of Hibernation he has firmly put Boise, Idaho on the music map. We talk about the albums writing process, life in Boise, skipping school, the effects of anxiety, and the most interesting of all - how a Sweatshirt with the words "Montana" on it formed one of the years most inspiring songs and videos. JB: The Year of Hibernation has a perfect flow to it from song to song. It is an album that must be listened to as a whole, was this your plan throughout the writing process? TP: I like to write in a very congruent manner and place songs together that are rooted in the same vein. With that in mind, it definitely was intended that this album be listened to as a whole instead of individually, however each song has its own conclusion. 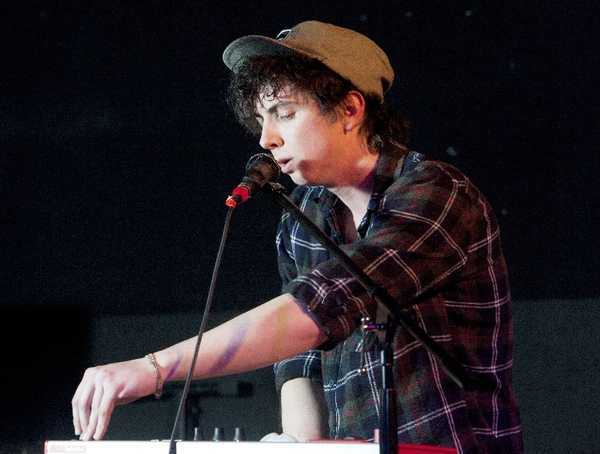 JB: What is the story behind Youth Lagoon, what made you decide to create The Year of Hibernation? TP: I made it my goal to start a project and record the first record in January of this year. I had no idea what I would do with the record when I was done with it, but I just had this feeling in me that I needed to do it. So I started writing these songs while I was going to Boise State University in '10. I would come home from school, and just work on music but also try to fit in time for my studies. The humorous thing is, I skipped A LOT of classes to write music instead. (laughs) There is a practice room for music majors at Boise State, and although I wasn't a music major I would often skip classes and go into one of those rooms and just write. Music is my passion. I'm not exactly sure what it was that sparked it, but it's something that is very deep in my soul. I know that sounds cheesy but I'm not sure how else to describe it. I have always wanted to play music seriously but was never sure how I would get there. I was going through a lot of difficult stuff too when I started all of this.. I guess it's when we are at our weakest that a door is opened. JB: The first song I heard from the album was Montana and it blew me away, such an incredible experience in a song. The video for the song is also very inspiring. What is the story behind this particular song? This song was written about a certain conversation I had with someone very special to me who was wearing a sweatshirt that said "Montana" across it. I thought it may be the last time I saw this person. When I was meeting with my friend and filmmaker Tyler Williams, Tyler had this vision for the video that would perfectly represent that idea of loss. We both knew the idea of the video was ambitious, but Tyler accomplished it and more. When Tyler first started showing me how shooting was going so far, I was blown away. JB: The entire album seems to be an honest and personal experience. What affected you most when creating/writing the album? TP: Since my writing does tend to be very personal, I think every aspect in my life affects it. I will say though that my music is fueled most by difficult moments in my life. That is where I find the most inspiration.. Since I'm open about my struggle with anxiety, a lot of people tend to say that is what the entire album is about. I think every human has their particular struggles, and since anxiety is mine, it definitely influences what I write. But it's not the only thing. JB: You seem very low key in your approach to marketing your music, but at the end of the day the quality of the music seems to speak for itself and word of mouth is praising this album all over the place. How important is it in the music industry to create music you believe in and has a purpose? TP: I think that it's everything. If an artist is creating music that he/she doesn't believe in or is happy with, what's the point? It's so easy to get sucked into the money side of things and start writing music that you think the public will like more.. that is when art dies. If an artist doesn't believe in what they are doing, it's not worth paying attention too because it will be stale and unoriginal. TP: Playing Salt Lake on 11/26 at Kilby Court! Montreal-based Claire Boucher’s project Grimes simultaneously turns on the charm and twists up the freakiness. Boucher has released a new track “Oblivion,” which is set to appear on her upcoming album Visions. 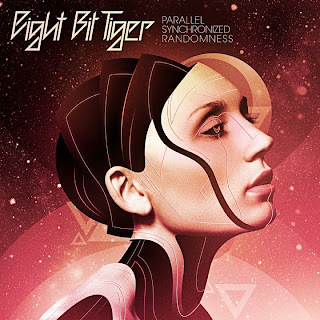 The track’s dark synths layered with Boucher’s cheery vocals make for an interesting and welcome juxtaposition of styles. Stream the single below and don't forget to check out Grimes' interview with FPT's very own Fr. Jones here. You can also find the review of her latest release, Geidi Primes, here. The Killers frontman, Brandon Flowers is about the biggest rock star in the world today, and with that comes great responsibility. Having four consecutive albums (Solo & The Killers) reach #1 in the UK charts, and touring with the likes of U2, Bruce Springsteen, Coldplay, Lady Gaga, and Pet Shop Boys. As a rock band you would have to rank The Killers right up there with modern day fellow rockers Radiohead, U2, Coldplay, Kings of Leon, and The Strokes as rock bands with the most diehard fans. Elton John has also took a liking to Flowers by listing him as one of his top-five heroes. With all that fame as a modern day rock star, Flowers is about as normal a guy that you can think of. Take a look over at Mormon.org and see for yourself. 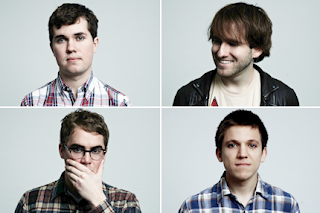 Flowers recently took part in the "I'm A Morman" video campaign. The guy is married with three kids and you can tell that is what he puts first in his life. Also check out the video 'A Fire Still Burning' below which features him talking about his career, his family and his faith. 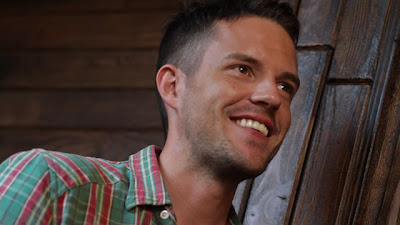 Rumours are floating that The Killers are set to release their 4th studio album Battle Born (working title) in early 2012. Brandon has said to have recorded six songs for the new album, one of which is called 'The Slot Tech' and has described as a 'seven and a half minute epic'. The band also performed a new song that could possibly make an appearance on the album, called 'The Rising Tide'. Brandon has also claimed that while writing his solo album, he wrote a song titled 'Runaways' that is intended for the Killers new album.